Fun Fact. 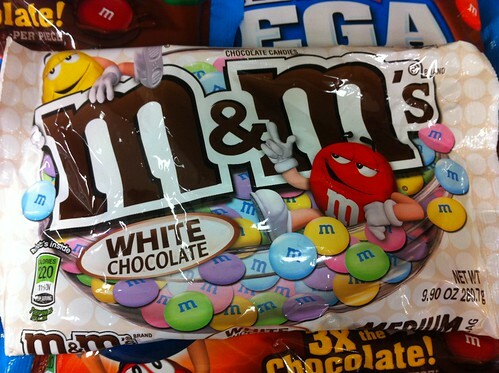 White chocolate doesn’t exist. So when you eat these…it’s just sugar, cocoa butter…milk…that fools (in appearance and taste) you into thinking it’s an actual chocolate variant. It’s quite clever actually. Good one candy man. But as a selling point for an M&M? M……eh.